A chance to see the famous Kenneth Clarke plate featuring Charlotte Brontë. Charleston will host the first museum display of Vanessa Bell and Duncan Grant’s Famous Women Dinner Service since it was created for Kenneth Clarke in 1932. After this, the plates disappeared from public view and their whereabouts were unknown until very recently. The plates were created by Bell and Grant when they lived at Charleston and each plate depicts one famous woman, featuring figures as various as the Queen of Sheba, Sappho, Nell Gwynn, Emily Brontë and Elizabeth I. 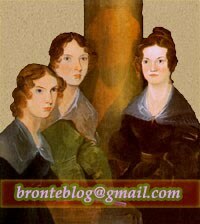 As far as we know the plate depicts Charlotte Brontë, not Emily.